I am taking a moment from pimping my headshots to bring a bit of an update on something I feel is pretty exciting. 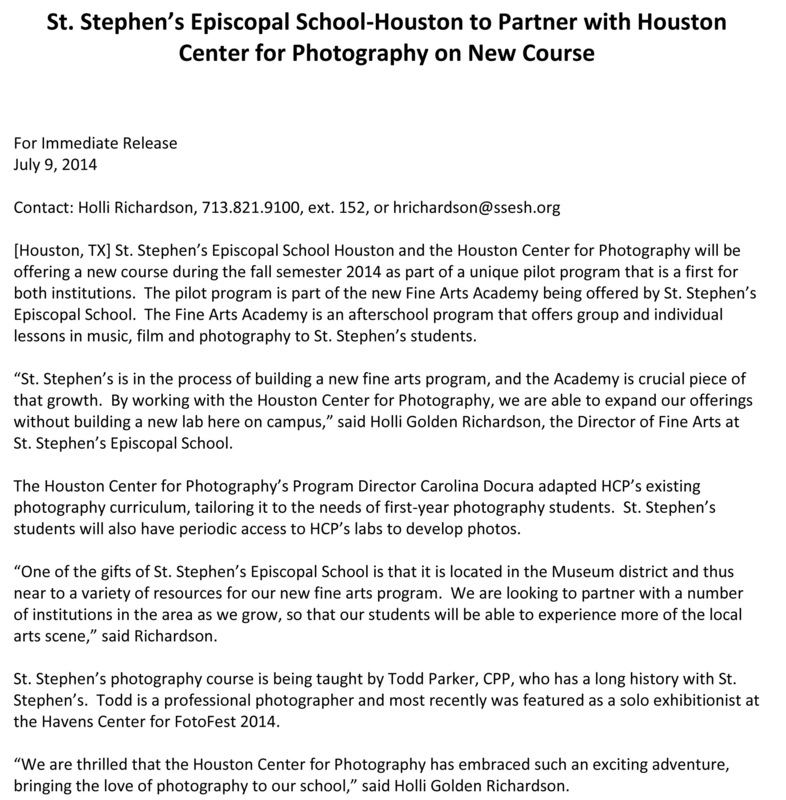 I have been hired by St. Stephen’s Episcopal School in the Montrose to teach an after school photography course one afternoon each week during the 2014 – 2015 school year. What is MOST exciting about this class is that I will be using curriculum that was developed in partnership with the Houston Center for Photography (HCP). HCP delivers classes to the general public and has established curriculum for that market. However, there has never been an attempt to develop the curriculum to map to a semester long school class offering. After several meetings with the good people at HCP, we now have a course curriculum that the students at St. Stephen’s will benefit from and we hope to be able to roll this course offering out to other private and public schools in Houston in the future. Can’t wait to get started with this class! Here is the press release that went out yesterday to media outlets here in Houston. Get your kids signed up today. Contact St. Stephen’s Episcopal School (or me) for more details!